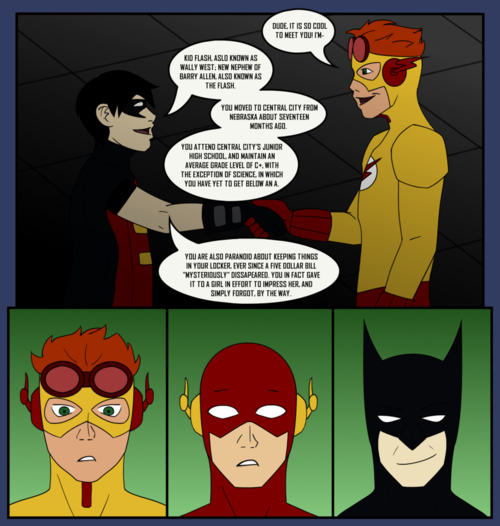 Robin knows Wally.... Robin knows Wally a little to well..and Papa Bats is proud xD. 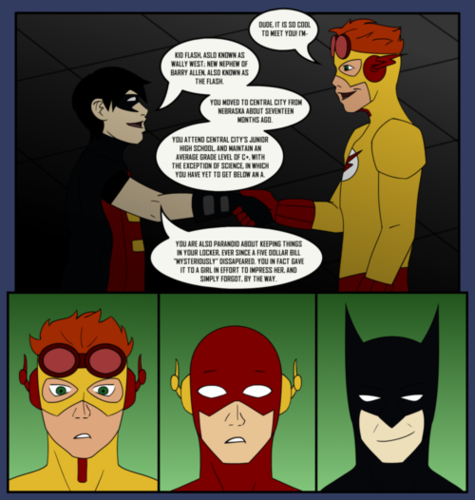 Wallpaper and background images in the ヤング・ジャスティス club tagged: young justice robin wally. *laughing hysterically* Flash, you look surprised! I thought you knew Batman! LMAO!! well Flsh knows Batman but I guess not Robin.